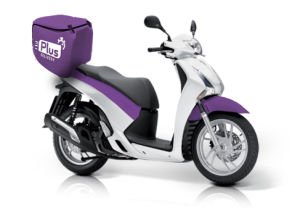 Plusdelivery, is delivering technology where you can book and track your delivery end to end with ease. It only takes few seconds. Safe, reliable and convenient. What inspired you to start your business? What is your favourite quote.? What inspired us was the opportunity to create a business where the sense of community spirit is brought back through logistics. Our favourite quote is people will always be the heart of our business. What issues have you overcome since starting up your business? We had to overcome many challenges since we started. With zero initial capital, cashflow has been the biggest hurdle. What successes have you had recently? Although we are not even 2 years old, we have managed to generate business traction, more revenue and contracts with big names such as DHL, FedEx, APC, GP Brands and HR Owen. We have also won the Guia Londres Magazine awards as the best logistics company within the South American community in London. In the next five years Plus Delivery (Plus Logistech) aim to be operating in the whole UK, Spain, Italy and Brazil with its latest logistics technology. Most importantly, we want to be known as the logistics company that is relevant for societies by creating multi-level networks between retailers and drivers. What did Startup Direct teach you about starting up a business and the different types of funding for startups? Startup Direct has help us in widen our vision, working on essential new business principles and also helped us to scale up. With Startup Direct support and mentoring, we have been able to set our foundations with much more clarity, focus and clear objectives.